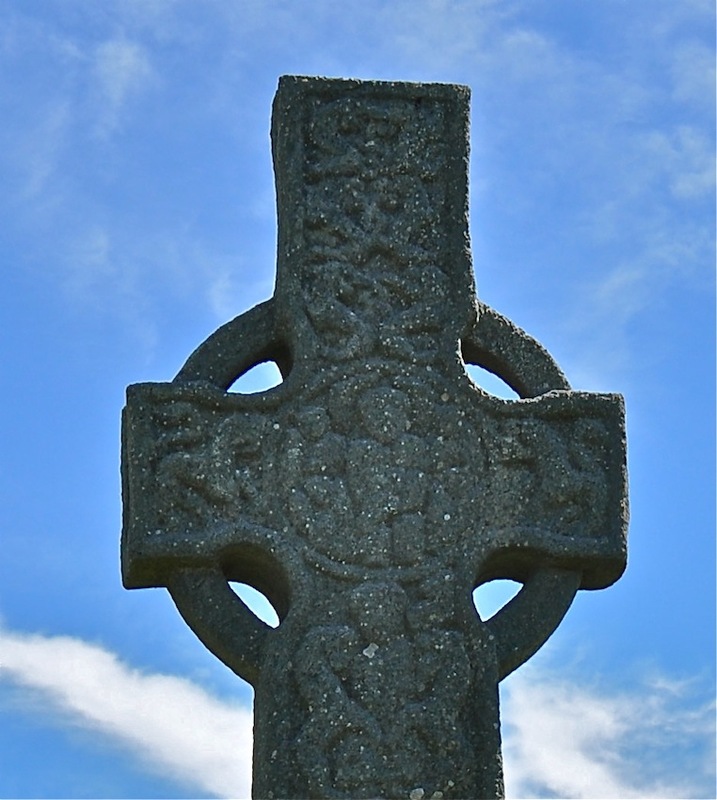 St Martin’s Cross has two faces, east and west. The above photo is the east side with carvings of bosses and serpents and the west side has Biblical scenes carved into the stone. 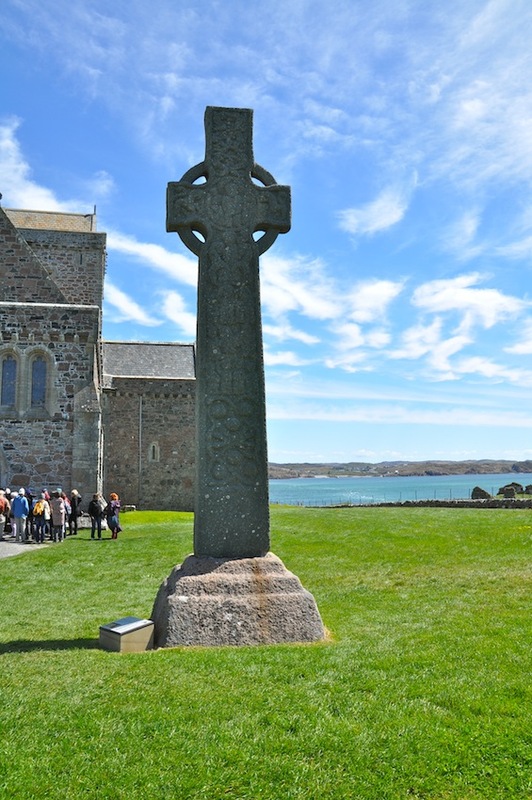 St Martin’s Cross has been standing in its original location for more than 1200 years. 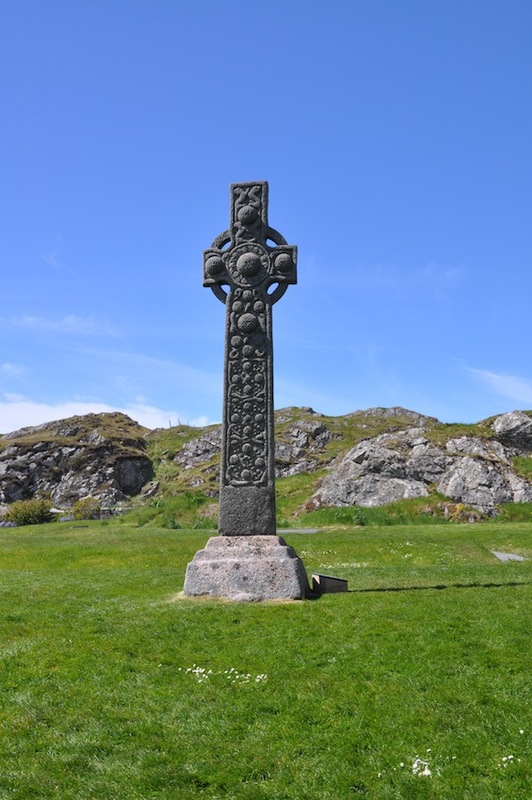 Carved from a single slab of grey epidiorite in the mid to late 8th century, it’s the most perfect of the surviving crosses on Iona.